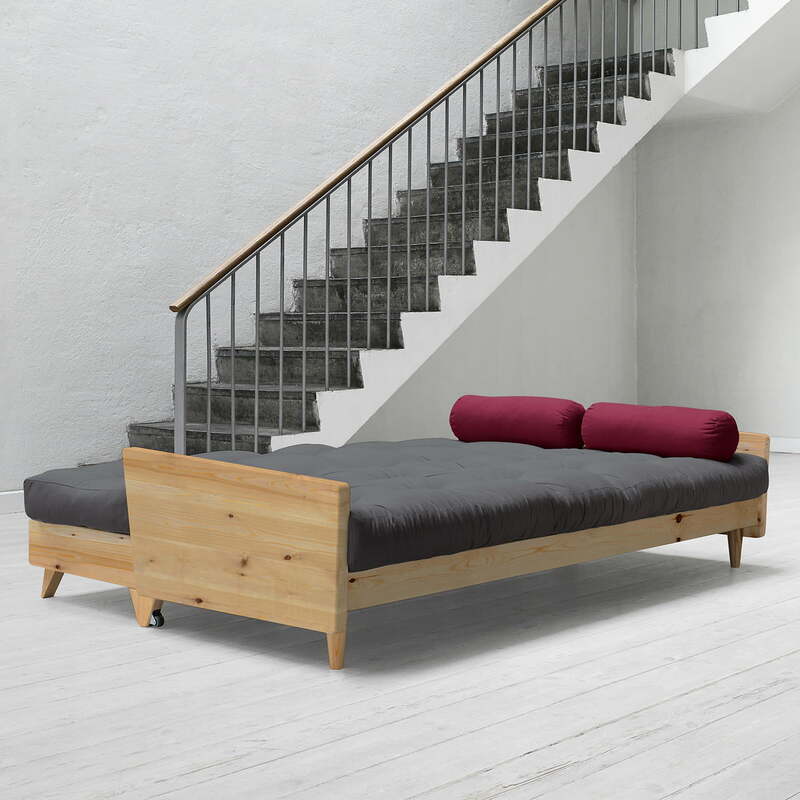 The Indie sofa by Karup offers surprisingly lots of space as sofa as well as a bed. The design is timeless, simple and reduced to the essentials. The legs give the sofa a retro look and the armrests are height-adjustable. Thanks to its two wheels, the sofa is also easy to move. As a sofa with two armrests Indie can accommodate several people. The backrest can be folded with a few simple steps and the sofa is quickly turned into a bed for two with a size of 130 x 200 cm - ideal for overnight guests or an evening in front of the TV. The fabric, which is available in various attractive colours is made from polyester and cotton. In addition, three matching cushions are included. 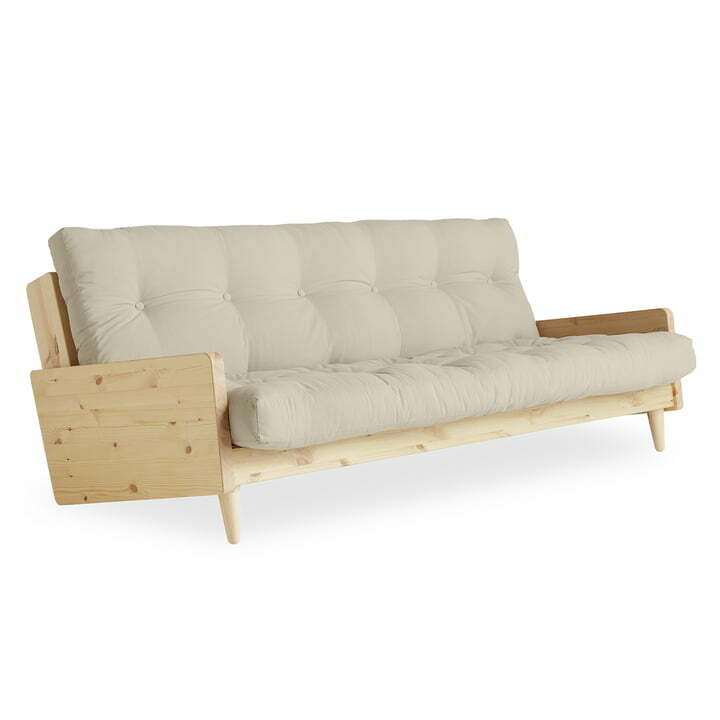 Individual product view of the Indie Sofa designed by Karup. The frame is made of untreated pine wood and the futon is made of poly cotton with a foam core. 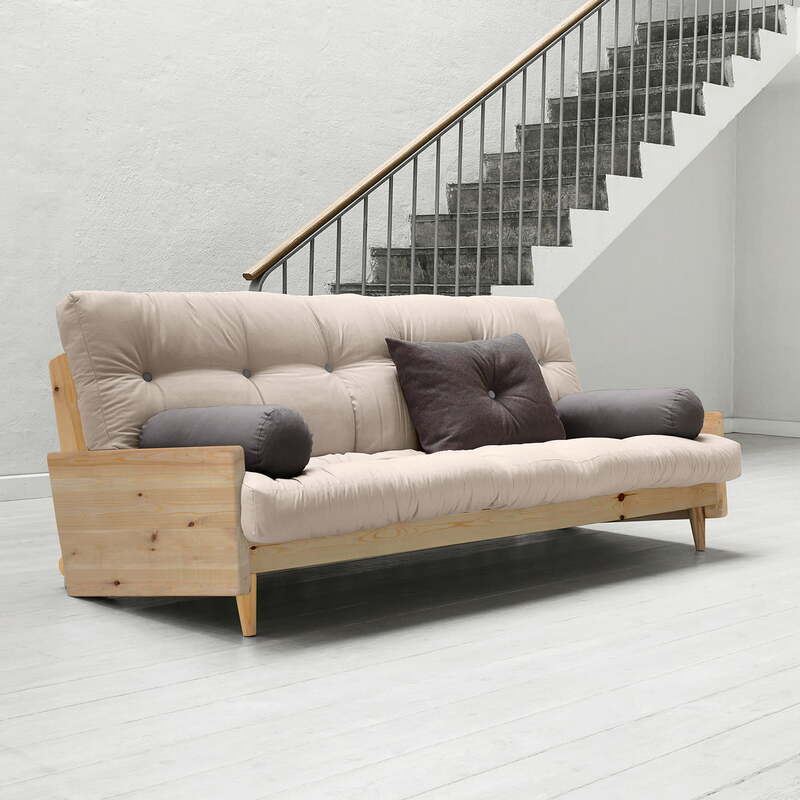 The Indie sofa designed by Karup offers surprisingly lots of space as sofa as well as a bed. The design is timeless, simple and reduced to the essentials. As a sofa with two armrests Indie can accommodate several people. The backrest allows to be unfolded in a few simple steps and you instantly have the sofa turned into a bed for two persons.